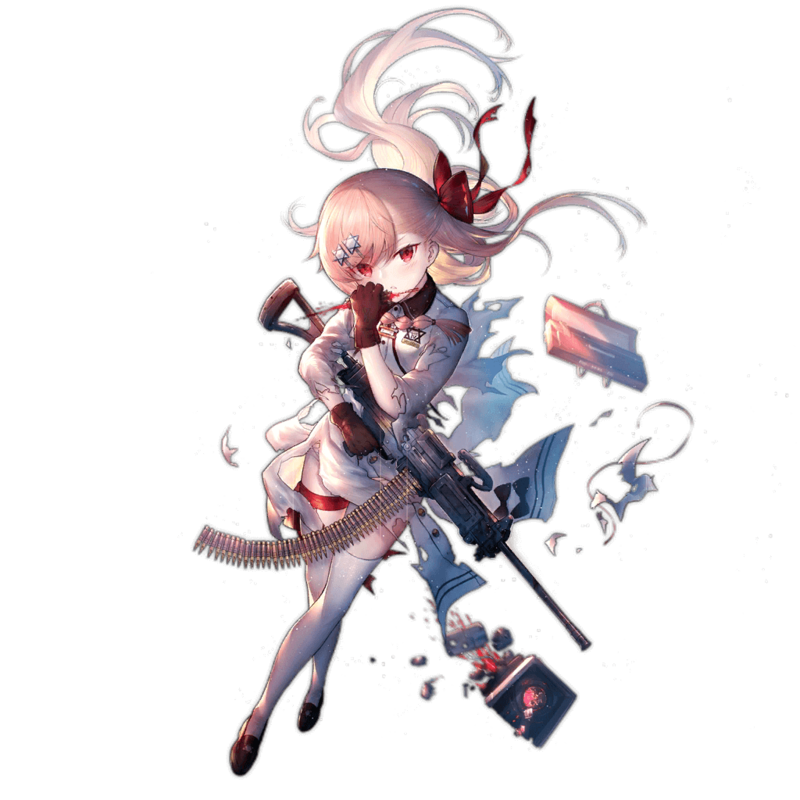 Negev is a T-doll specialized for long battles, but her effectiveness is compromised by the fact that there aren’t many long battles in the game. Her Skill, on paper, is good, increasing Negev’s Damage by 50% every time she reloads for a duration of 25 seconds. Not only that, it stacks multiplicatively, making it even more potent in longer fights. Thanks to Negev’s low Damage, though, it actually takes her three volleys and subsequent reloads to out-dps the best MGs. Moreover, as the basic purpose of an MG is to KO enemies within their first volley, this Skill is extremely limited in its practical applications. So although Negev shines against enemies with incredibly high HP, such enemies do not currently exist in EN. For this reason, she can be considered near useless for now, especially if better options are available. As Negev’s Skill stacks Damage buffs on her for every time she reloads, she sees great performance in long battles. Negev possesses the most potent Armor buff tile ingame, which are the only buffs SGs really appreciate. As the purpose of using MGs is to wipe out the enemy in one volley, Negev’s power will often show itself too late..
Negev’s most exceptional stats are her Evasion and RoF, which are useless for MGs -- she really could’ve used to have stat points funneled from there into her low Damage instead. 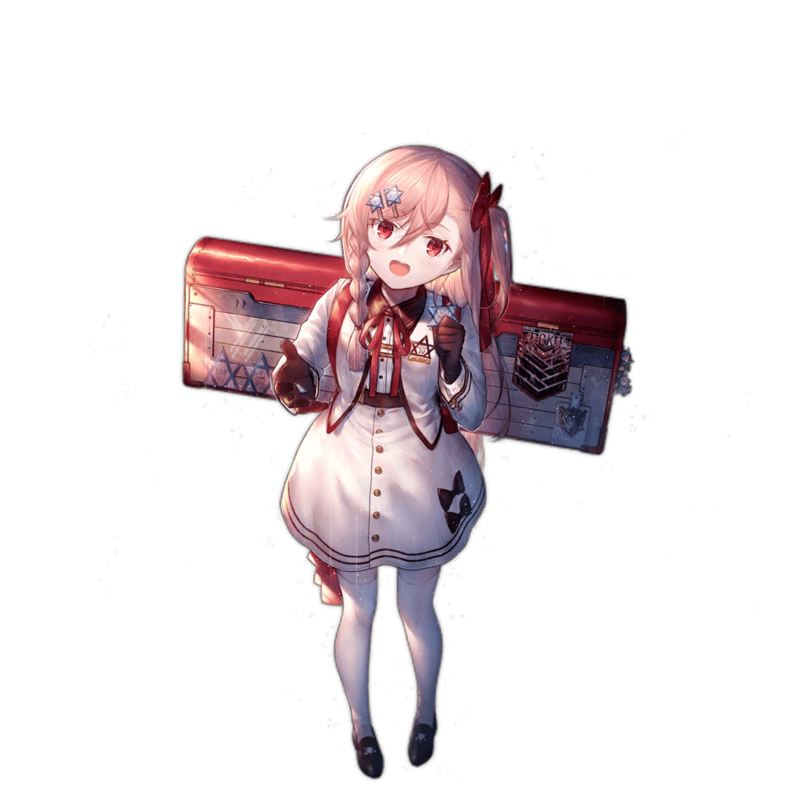 Negev is the rarest MG in the crafting pool, yet like many other rare units, her actual effectiveness in combat is rather underwhelming. At first glance, Negev doesn’t look too bad. Her buff tiles give SGs a whopping 20% buff to their Armor -- the highest Armor buff in the game -- and her Skill is rather impressive impressive, granting her a 50% Damage buff every time she reloads up to 3.375x her original Damage. In addition, she has decently high Accuracy, a trait rare in MGs, allowing her to comfortably equip an EOT sight or even a VFL scope. All these traits make her ideal for use in very long battles, as she allows SGs more sustainability through her Armor buff, and her Skill causes her to possess the highest DPS out of all MGs in cases where she is able to reload thrice. These qualities, however, aren’t enough to make Negev suited for general use. From a practical standpoint, there isn’t currently a lot of reasons to use Negev.. First of all, while her Skill seems impressive, MGs generally are meant to KO foes within their first volley, making Negev’s reload activation condition contradictory. Moreover, Negev’s performance is still unimpressive throughout her second volley, dealing more damage than 3 second skill MGs but still falling far behind the passive skill MG. In addition, Negev’s low Damage (which rests at the lowest value of all 5 star MGs) means that she benefits less from her Skill than one may figure. To make matters worse, while she has one of the highest stat totals for MGs, most of it is wasted in RoF and Evasion. Perhaps one of Negev’s singular merits -- her performance in long battles against enemies with large health pools -- can’t really be called a merit yet, as such battles haven’t yet been added to EN servers. For this reason, there’s very few (if any) reasons to use Negev right now if there’s other MGs available, though she will perform well in her niche once there’s content released that fits it..
Like all MGs, Negev appreciates Damage and Accuracy buffs the most. Negev in particular requires more Damage buffs than other MGs due to her low base Damage. Some examples of SGs that could be used with her are M37 and KSG. Likewise, Negev can also receive Damage and Accuracy (but ideally Damage) buffs from HGs.Possible teammates include Mk23, SAA, and Grizzly. Like other MGs, Negev can be used with any other MG -- in many cases where Negev is used, however, she’ll be used alone. Her teammates can be MG5, PKP, and PK. Negev’s actual positioning in the back column of the formation doesn’t matter, as she’ll buff the SG with Armor no matter when she’s in the backline. Actually, contrary to other MGs, Negev will most likely see less use with this formation than the 2SG formation. Once again, Negev can be placed anywhere in any position in the backline, although placing her in the middle of the backline and using the HG in the middle is an option as well. Negev sees more use in this formation, as most enemies that require using Negev are going to have a lot of HP, causing the SGs in the Echelon to have to tank more.. For this reason, it’s a good idea to use a 2SG team while using Negev in order to take some burden off of each tank. The Negev is a light machine gun developed by the Israel Weapon Industries as a replacement for the Galil ARM. Negev and its variants started production in 1997, and is still being used in the Israeli Defense Force to this day.